amPlug Joe Satriani, Portable Guitar Amp Simulator from Vox in the amPlug series. 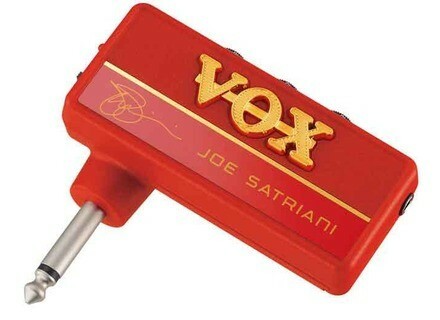 VOX Amplification expands its range of amPlug headphone guitar amplifiers with the new Joe Satriani signature model, which borrows sounds from the VOX / Joe Satriani series of signature effect pedals. The amPlug series of palm-sized headphone guitar amps is designed to make it easy to enjoy great guitar/bass sounds at home or on the go. Featuring a bright red body, the Joe Satriani amPlug is designed to deliver the sound of Satriani's custom rig distortion pedal through a high-gain tube amplifier, followed by a delay and reproduces the settings created by the guitarist. Inspired by the distortion circuitry of the VOX / Joe Satriani Satchurator pedal, the amPlug Joe Satriani is designed to preserve the players pick attack to create an articulate, melodic and playable distortion. Users can activate the delay with the flip of a switch. Inherited from the analog-style Lo-Fi mode of the VOX / Joe Satriani Time Machine delay pedal, the delay features Satriani's EQ settings, combining both high-pass and low-pass filters. The AUX input jack allows users to plug their CD/MP3 player into the amPlug Joe Satriani and jam along. The amPlugs feature up to eleven hours of battery life. Users can plug the amPlug Joe Satriani directly into their electric guitar, connect their headphones, and start playing. The optional amPlug Cabinet (sold separately) can be accommodated to create a miniature amp stack. 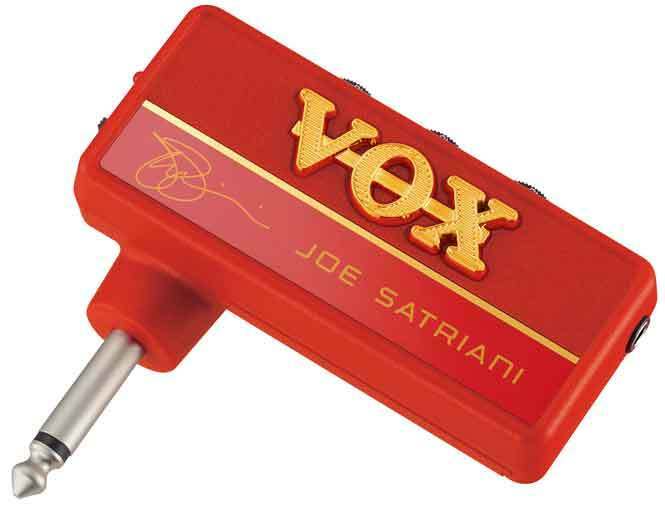 The VOX amPlug Joe Satriani will be available November 2010 with a U.S. MSRP of $49.99. For more information, visit www.voxamps.com . Boss ST-2 Power Stack Pedal Boss U.S. announced the addition of the ST-2 Power Stack to its compact pedal lineup. Roland Cube-XL Series Roland U.S. announced the Cube-XL series (made of the Cube-80XL, -40XL, -20XL, and -15XL) of guitar amplifiers, the latest generation of its Cube amp family. VOX Valvetronix VT+ Series VOX Amplification has enhanced its Valvetronix amplifier line with the new Valvetronix VT+ Series.